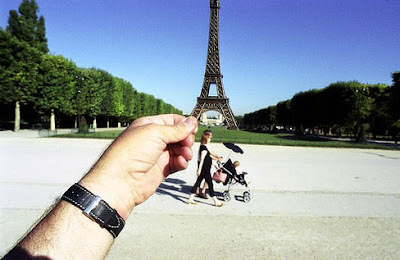 This guy has traveled all over the place taking pictures of famous things and places with his souvenirs held up to cover the original... the photo expalins it better than words do. And there are lots more. To begin, make a group of four people. Make one person the paparazzo, one a movie star, and the other two bodyguards. The bodyguards and the movie star form a circle facing the movie star away from the paparazzo. The object of the game is for the bodyguards to keep the movie star from the paparazzo. The paparazzo tries to tag the movie star, because in the game tagging the movie star will give him or her a picture. The bodyguards move the movie star in a circle to keep him or her away from being tagged. Play rounds until everyone has been everything. Saw this storefront near the house; wife and I laughed about it for days. 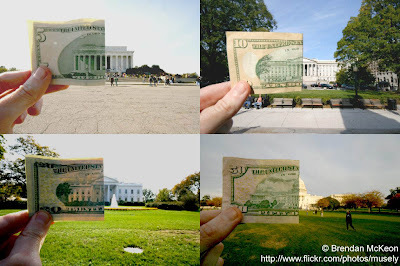 I just sent some money to Barack Obama. 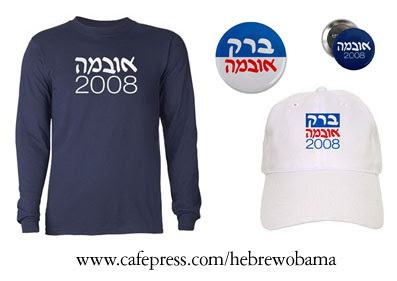 Those of you who aren't regular readers may not be aware that I've got Hebrew Barack Obama shirts and stuff I'm selling to support his candidacy for the President of the United States. I've just sent off a nice check to the campaign, as part of my commitment to send 10% of all profits from sales -- thank you for your support! I'll be continuing to send in contributions, so it's not to late to get your shirt and support your candidate! it would be a lot better." OK, again I find myself spending quite a bit of time on useless pursuits for the sake of my children having the finest apparel money can buy (or I can create). 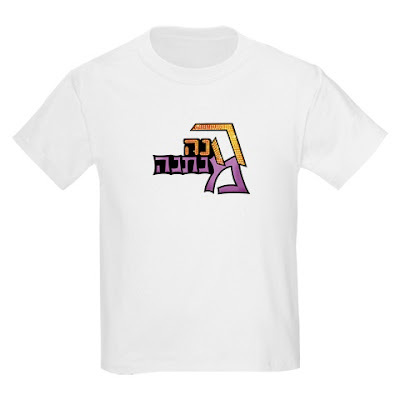 Enjoy the fruits of my labor: the first-ever Hebrew [totally fair-use] parody t-shirt of Hannah Montana. John McCain could be president; be afraid, very, very, afraid. 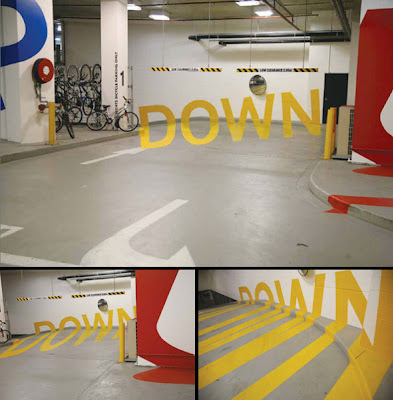 Thanks, BoingBoing, for directing me to Axel Peemoeller's parking lot graphics; they are only seen correctly when you're in the right place -- e.g., you only see the word "down" when you're in the right spot to go down. Click here to see more.